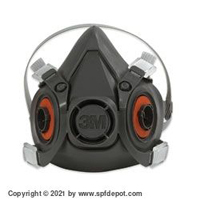 With more than 40 years of experience and as an industry leader in respiratory protective equipment and supplies, 3M produces a full line of air-purifying respirator masks and the cartridge filters and particulate pre-filters to go in them. 3M respirator filters are designed specifically for use in 3M masks, many of which use the prefilters for respirator masks such as those shown here in conjunction with organic vapor/acid gas filter cartridges. Just as it's important to ensure your cartridge filters are replaced when recommended, the prefilter for 3M masks requires the same level of regular maintenance, which usually means replacement. 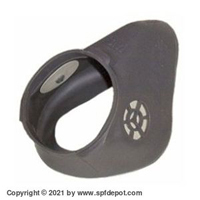 Generally speaking, the prefilters require even more frequent replacement than the main gas/vapor filter cartridges. 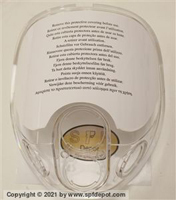 They come packaged in units of 10, and at our low discount price, cost less than two dollars per mask prefilter. 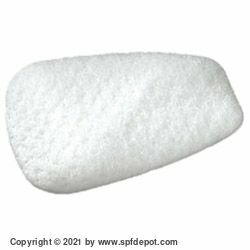 If you're looking to buy 3M prefilters in bulk, you'll save even more here at SPF Depot.